Since David Ramsey arrived at Waycross Camp and Conference Center last June, he’s overseen a list of renovations and repairs that would be daunting even to HGTV stars. But to Ramsey, the work on the 400-acre site in Brown County is just the beginning of realizing a larger vision. “The work we’re doing now is quite literally paving the way for programs that will make Waycross the spiritual center of the diocese,” he says. A first test of the new approach to hospitality: During the last week in January, Waycross will host the annual conference of Episcopal Camps and Conference Centers (ECCC), a network of more than 100 facilities across the church. Presiding Bishop Michael Curry and Bishop Jennifer will give the keynote addresses. To prepare for the spotlight that accompanies the presiding bishop, Ramsey and his staff have been hard at work on renovations to what is now known as the Waynick Welcome Center, in honor of Bishop Cate Waynick, who retired in 2017. 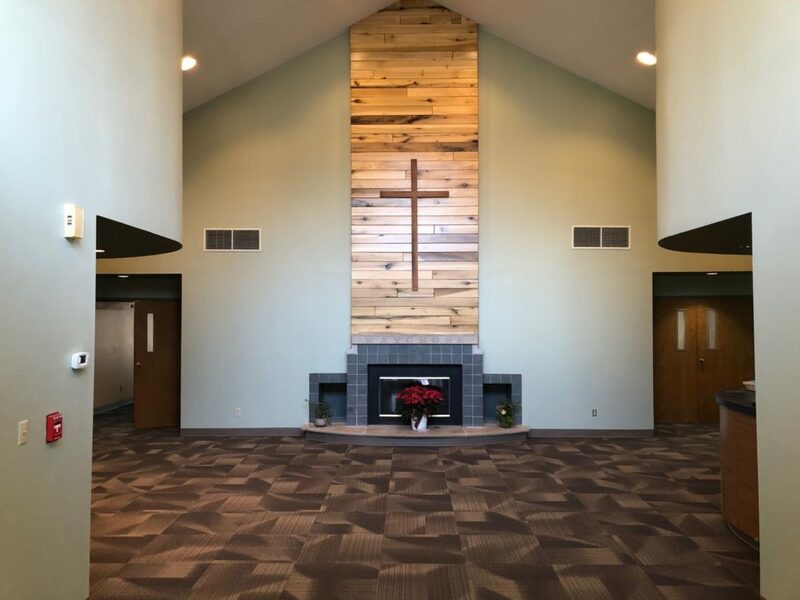 A host of improvements, including new carpet, office space, remodeled bathrooms and a fresh coat of paint were made possible by the diocese and Christ Church Cathedral, which had allocated funds to honor Waynick’s time as bishop. The entrance to the property off Bear Creek Road now boasts a resurfaced and resealed drive and a new limestone sign. A new roof for the conference center and a new HVAC system in the assembly building, which will host the ECCC meetings, were completed late in 2018. Ramsey is especially pleased with the new facing of the chimney in the lobby, which is covered with poplar grown on the Waycross property. The project was designed and installed by Waycross Director of Maintenance Dave Johann. 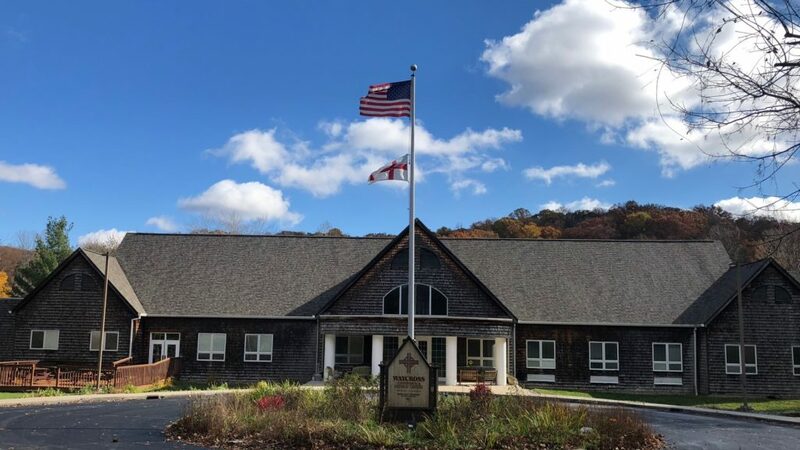 Ramsey expects to hold a dedication of the Waynick Welcome Center in the spring, when he hopes people from across the diocese will gather to see the improvements to the campus and join in reinvigorating its ministry.